Displays a countdown timer for products on discount. 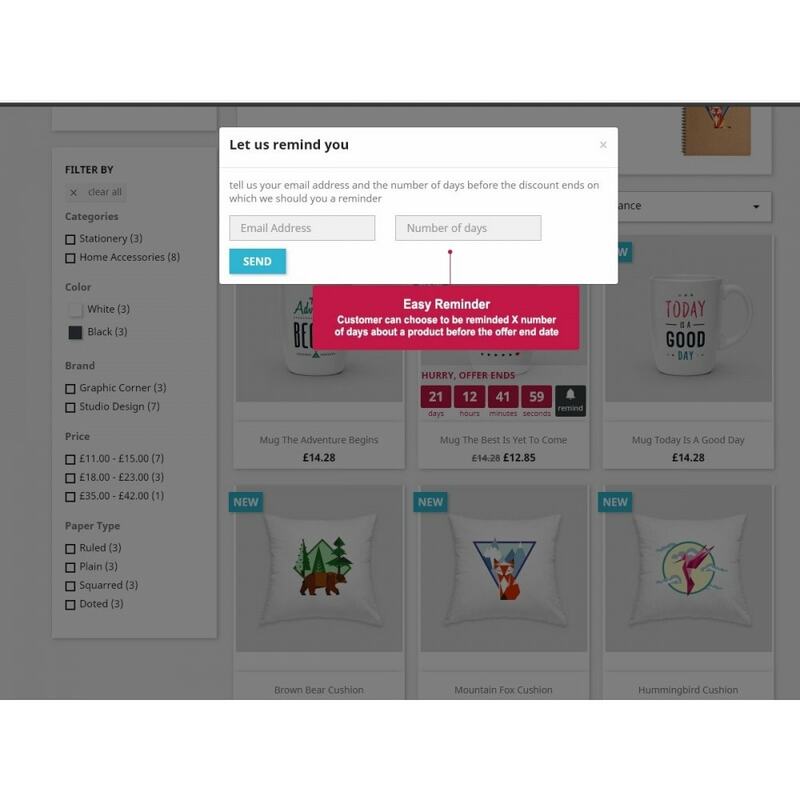 The timer displays the remaining time on a discount for a product (or products) along with a button which allows your customers to be reminded about the discount X number of days before it ends. Add a live sense of urgency to your discounts! Maximize customer interest in your product promotions by displaying a stylish counter for your products. The countdown displays a live timer which counts down to the promotion or discount expiry date. The timers are a great way to create a sense of urgency for your product discounts and thereby encourage customer to buy before it's too late. 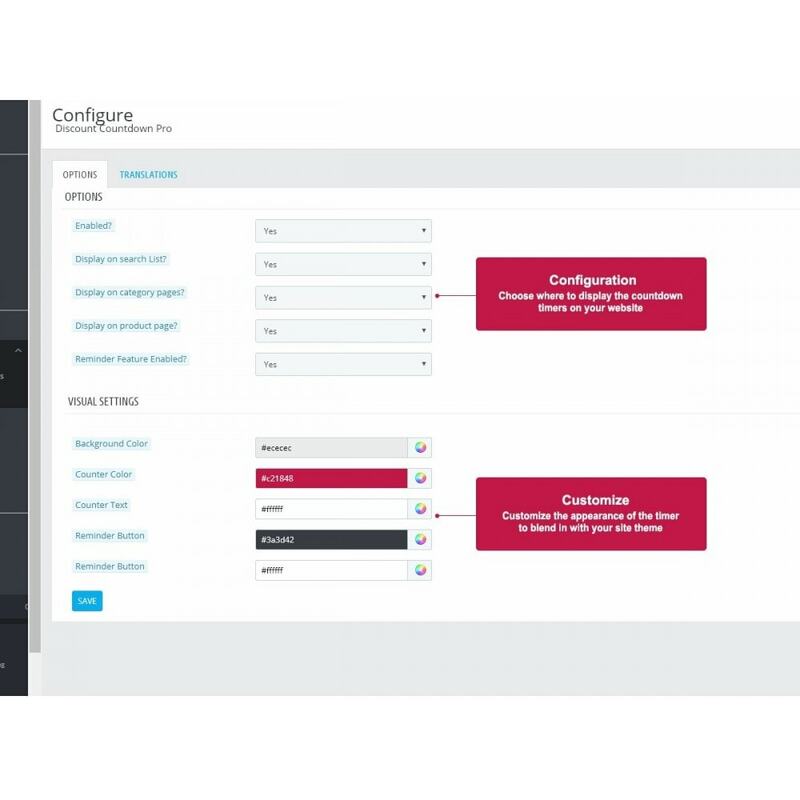 The module also displays a remind me button which displays a sleek popup for for the customer. This allows the customer to choose to be reminded about the discount X number of days before it ends, by email. 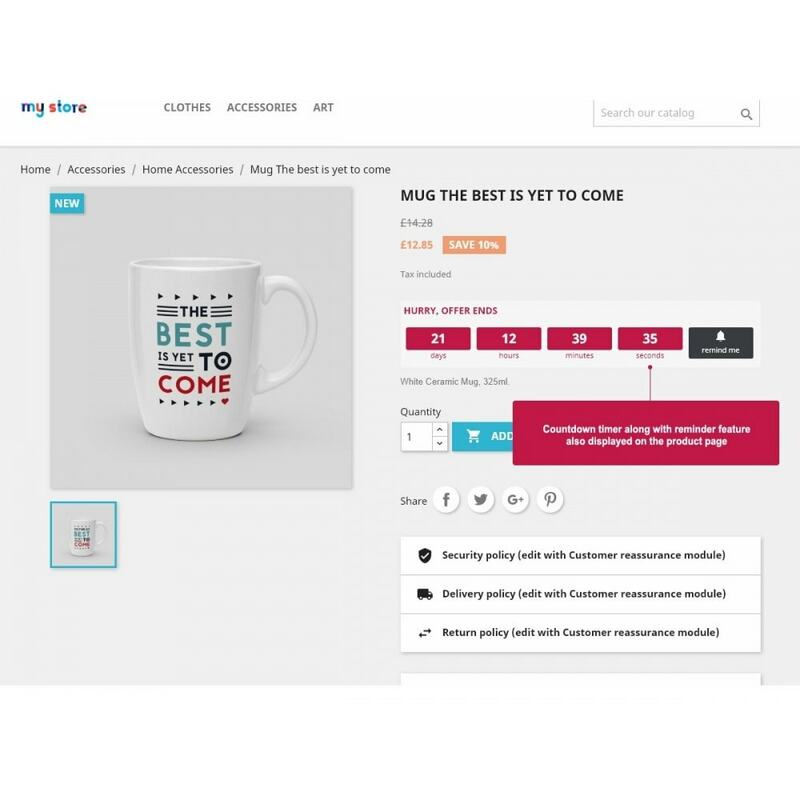 It's great for the customer who doesn't want to buy it just yet, but is interested and it's great for the merchant as it'll keep potential buyers reminded and retrning to your site in the future. 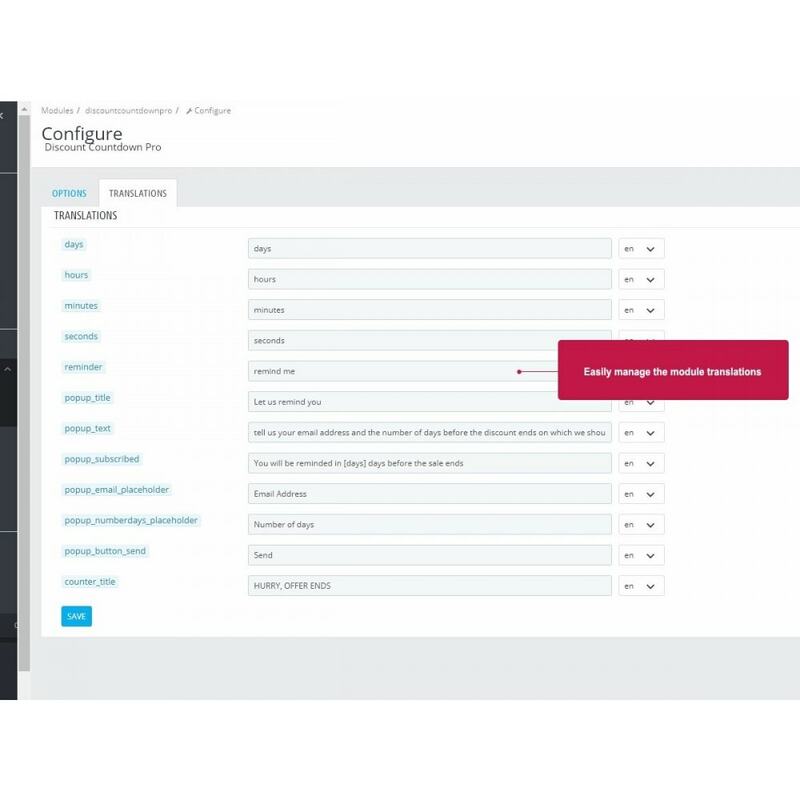 The module colours can be edited easily within the module configuration, no need to edit stylesheets! Der Login Sheriff PRO schützt Ihr Kundenlogin zuverlässig und nachhaltig vor Brute-Force Attacken, Account-Hacking und Passwortklau.Sorgen Sie jetzt für mehr Kundenschutz und Vertrauen! Validation of the age before shop access by categories, pages or in full.On the whole shop:The verification will be activated on the whole shopOn certain categories or pages:The verification will be activated on the selected categories or pages. 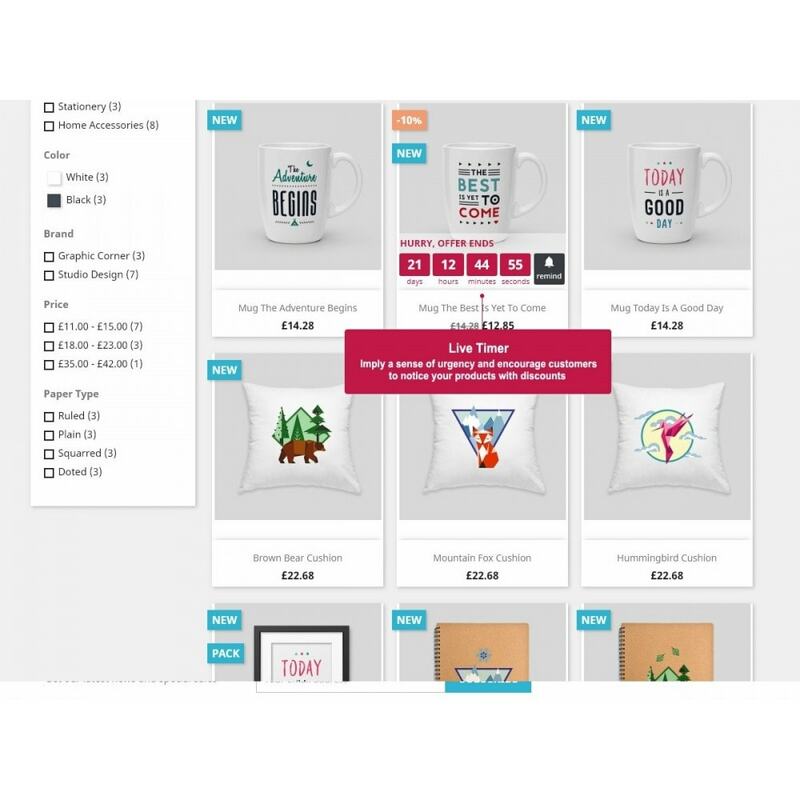 Customers can immediately see which products are on offer while the are browsing the products in your store and can easily see when these offers are expriing and exactly how much time they have left to order it. Please refer to the documentation (ncluded in the module) for full details on installtion.